In a locked Honolulu office building, three men are found dead, covered in ultrafine, razor-sharp cuts. The only clue left behind is a tiny bladed robot. In the lush forests of Oahu, trillions of microorganisms are being discovered, feeding a search for priceless drugs. In Cambridge, Massachusetts, seven graduate students are recruited by a microbiology start-up and dispatched to a mysterious lab in Hawaii, where they are promised access to tools that will open a whole new scientific frontier. But once in the Oahu rain forest, the scientists are thrust into a hostile wilderness where they find themselves prey to a technology of radical and unbridled power. To survive, they must harness the inherent forces of nature itself. 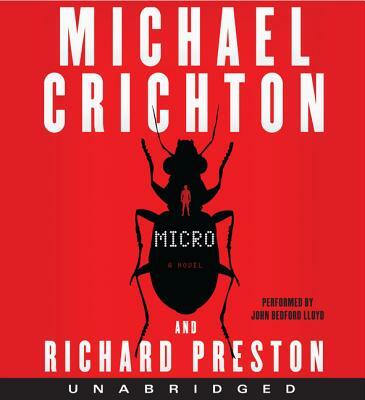 An instant classic, "Micro" pits nature against technology in vintage Crichton fashion. Completed by visionary science writer Richard Preston, this boundary-pushing thriller melds scientific fact with pulse-pounding fiction to create yet another masterpiece of sophisticated, cutting-edge entertainment.